The 1995-99 Nissan Maxima were the last cleanly styled generation of Maxima. The cars that followed this generation were more powerful, but were noticeably uglier cars. The Maxima started the tag line "four door sports car" in the early 1990's. Today's bright red feature is the sport model SE, but has bonus of a turbo kit and supporting mods added to the decent 190 hp 3.0 V6 engine. The usual hotrod move is to swap in a later 3.5 engine into these cars. 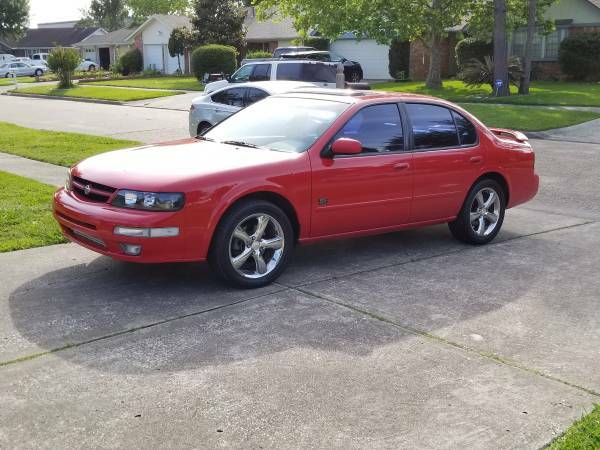 Find this 1999 Nissan Maxima for sale in Houston, TX for $6,000 via craigslist. Tip from JG 750. 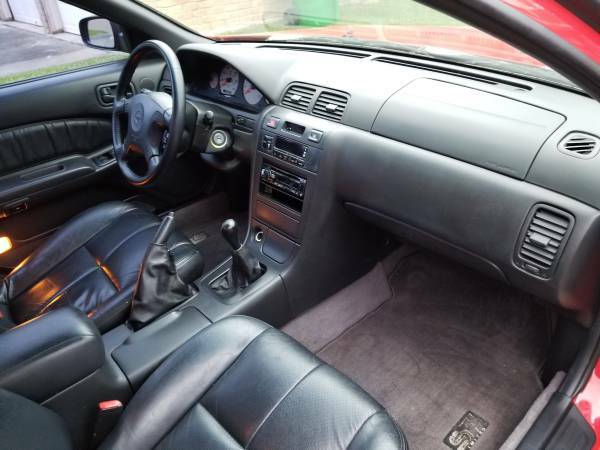 1999 nissan maxima turbo. This car garage kept, AC blows cold and very fast!!! Serious inquiries only! Title in hand. I am up for trades but it has to be equal value or more by Kelley Blue Book. If are want to trade please send pictures inside and out and pros and cons plus odometer. This will speed up the process. Also will trade for foundation work. Six grand is a lot of money for one of this generation Maxima's, but you could make a case this one is worth the dough. 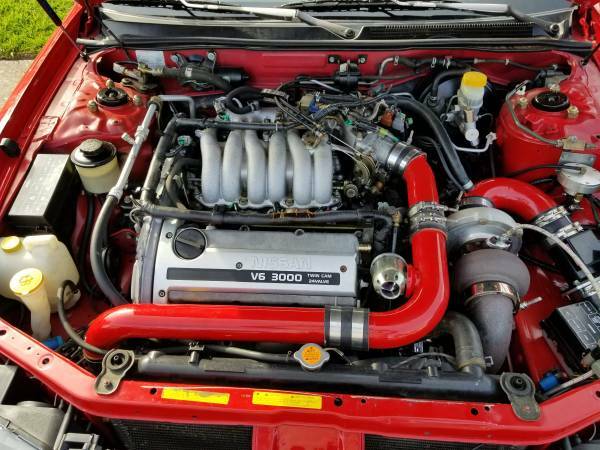 The seller does not throw around another horsepower figures which is surprising on a car like this. In my opinion, a dyno run would go a long way to selling the car. High hp fwd cars usually a tough on transmissions so I would want to do a bit of research there as well. "Minor beings around a car"
What's this? Haunted by the ghosts of dead children? That could be a real deal killer.